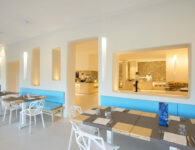 Book Now your holiday at Chia Laguna and save 20%. 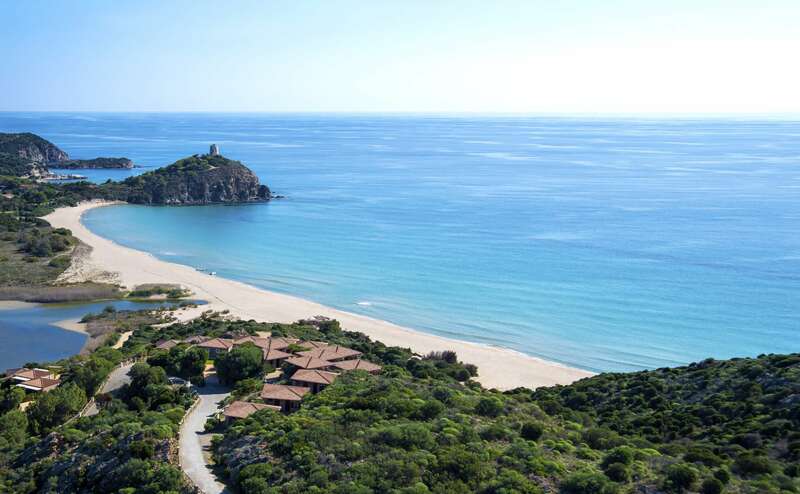 Hotel Laguna in Sardinia is a testament to Italian hospitality and charm. The beautifully appointed 5 star hotel resort offers breath-taking view of sea and lagoon, and promises guests the relaxation and calm they’ve been craving. The energy and vibrance of the surrounding nature encompasses you, and this feeling carries to each of the rooms as well, with their spacious interiors and elegant décor. From our beach Hotel Baia in Sardinia, one can follow the natural path that is carved directly into the rocks and find this wonder of nature. 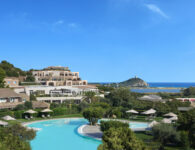 Monte Cogoni is a blissful golden retreat that opens up the crystal clear waters of the bay, and offers a truly unforgettable experience for all. 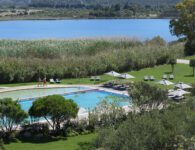 Discover this paradise on earth with special area reserved for guests of Chia Laguna. 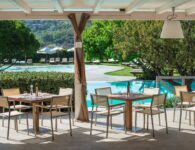 The Chia Laguna Resort is comfortable family hotel in Sardinia offering the ideal escape filled with fun, excitement and relaxation, all set against the natural landscape of Baia Chia. THE PERFECT PLAYING FIELD FOR SPORTS ENTHUSIASTS. 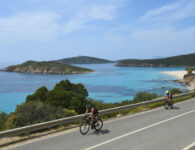 Set against a backdrop of Sardinia’s natural beauty, surrouned by the beautiful beaches of Baia Chia, we offer a wide range of exciting activities, including water sports, tennis, football, hiking, cycling, and horse riding. Live it up with carefree moments of joy that will make your holiday an exciting and unforgettable experience. If needed doctor’s visits can be requested for any type of emergency. Variations in the resort’s services may occur and services may occasionally not be operational at the management’s discretion. All special requests are subject to availability at the time of arrival and may incur additional costs. Special requests cannot be guaranteed. 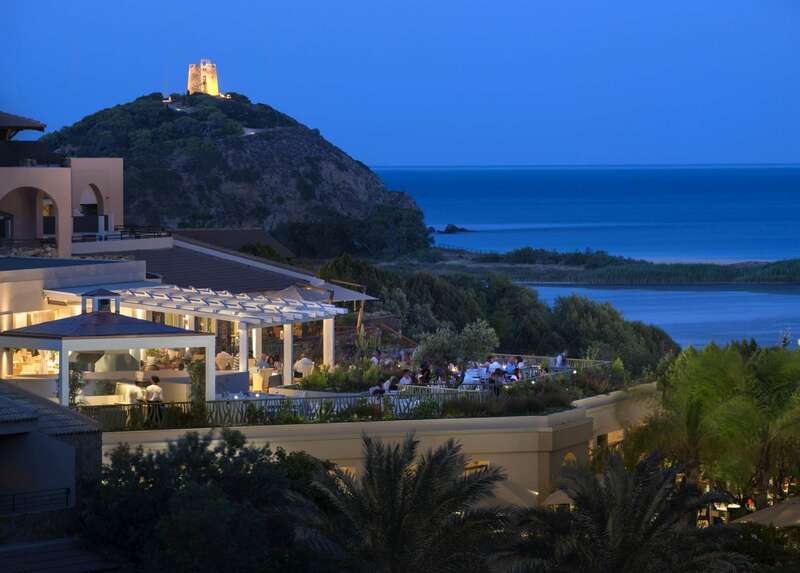 Enjoy the elegant harmony of a 5-star welcome in breathtaking sea view rooms and vibrant spaces in one of the jewels in Sardinia’s accommodation crown. Chia Laguna Resort welcomes you to Laguna, a uniquely beautiful and stylish hotel and the ideal place to get away from it all. Sophistication and beauty – this is what marks out Hotel Laguna’s 74 rooms with terraces over the Chia panorama and its lagoon populated with pink flamingos, rolling sand dunes, ultra-fine white sand and wonderful turquoise sea. Our use of traditional Sardinian pottery, stone and mosaic decorations and careful choice of fresh fabrics and design objects contributes to the hotel’s exclusive atmosphere. 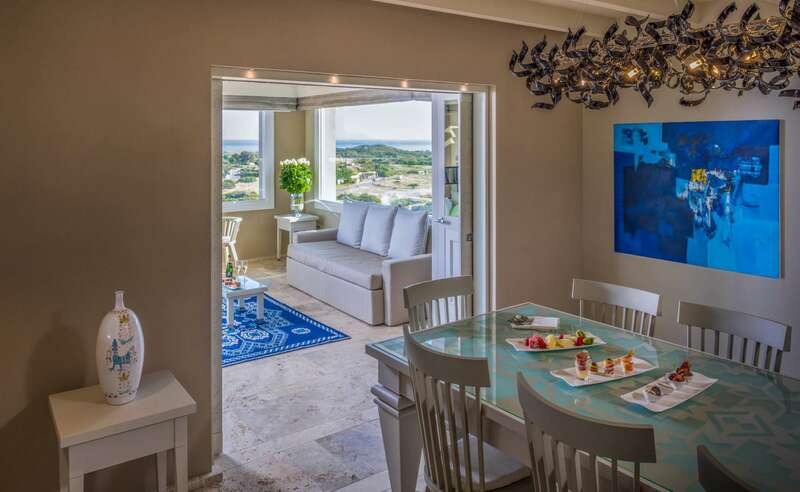 Luxury Panorama Suites offer large rooms in elegant Mediterranean style, a large terrace with a veranda and living area, a hanging garden with private jacuzzi and a veranda affording unrivalled panoramic views over the whole Resort and the sea front. 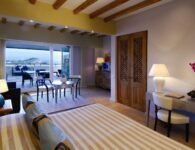 The new suite occupies the whole of the penthouse floor of the 5-star Hotel Laguna and overlooks the whole bay from the Tower of to the famous Campana beach sand dunes. Furnished in natural gold and sand hues, the Luxury Panorama Suite is a splendid example of architecture and scenery blending into one. The stylish charm of its interior design, where design and handicrafts are combined, is made even more unique by the breathtaking sea views from its large panoramic windows. Stylish interiors covering 140 m², are divided up into a large living space and master bedroom.Luxury Panorama Suites are ideal for couples or families. -No supplement Dine Around in all the Resort’s restaurants on booking. The Natural Prestige Suite was designed in accordance with green building principles so that Chia’s natural world floods over you in all its rooms. 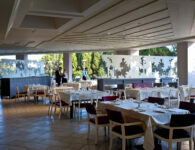 It is on 5-star Hotel Laguna’s third floor over 80 square metres. You are welcomed to a large living area, a stylish double bedroom with en-suite bathroom and a study area with a sofa bed. 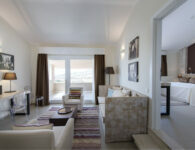 Designed primarily for a couple, the Natural Prestige Suite is also ideal for a family with two children. 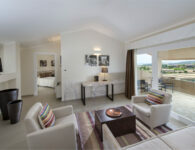 Spacious and light filled, all Hotel Laguna’s Garden Suites offer enchanting views of Chia’s lagoon and sea. 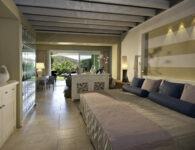 Each suite has its very own private garden, a veritable Mediterranean Eden with a private jacuzzi. Local ceramics, modern touches, bathrooms with fine mosaic decorations, carefully chosen objects and natural fabrics together with woven carpets inspired by the island’s traditional designs all conjure up a fascinating ambience. Their large size means they can comfortably accommodate families: a cot or third bed for children up to 12 years of age can be requested at no extra charge when booking. Guests staying in Suites are entitled to beach facilities with umbrellas and sunbeds in the front row. Spacious and bright, all Hotel Laguna’s new Garden Junior Suites offer enchanting views of Chia’s lagoon and sea, and its very own private garden. Their large size means they can comfortably accommodate families: a cot or third bed for children up to 12 years of age can be requested at no extra charge when booking. Guests staying in Garden Junior Suites are entitled to beach facilities with umbrellas and sunbeds in the second row. Hotel Laguna’s exclusive Junior Suites have been designed as open plan spaces with night and living areas combined to create a single stylish space. 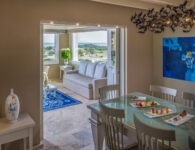 They come with wonderful terraces affording exceptional views over Chia’s enchanting bay. Their large size means they can comfortably accommodate three people: a cot or third bed for children up to 12 years of age can be requested at no extra charge when booking. Guests staying in Junior Suites are entitled to beach facilities with umbrellas and sunbeds in the second row. The Deluxe rooms command enchanting views of Chia’s extraordinary sea and beautiful lagoon. Especially large and comfortable, they each have a pleasant terrace or small and comfortable garden furnished with table, chairs and chaise-longue. The Deluxe rooms, designed for both couples and families, can comfortably accommodate three people: a cot or third bed for children up to 12 years of age can be requested at no extra charge when booking. Our modern and cosy Superior rooms have comfortable and spacious sleeping area. Bathrooms are pastel coloured and decorated with mosaics and natural stone echoing the colours of this extraordinary island’s sea and land. 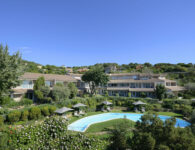 All the hotel’s rooms have a terrace or balcony with a partial view of the sea and some overlook the village. Superior rooms are designed for couples and a cot for a child of 3 or under can be added free of charge. Please make sure you request such cots when booking your room. he Oasi Family Rooms are on the upper floors of Hotel Spazio Oasi, and feature stylish and sophisticated settings with two separate rooms. Ideal for families of 3 or 4 and a child in a cot. On the first and second levels of the hotel, the exclusive Oasi Balcony Suites are truly unique. 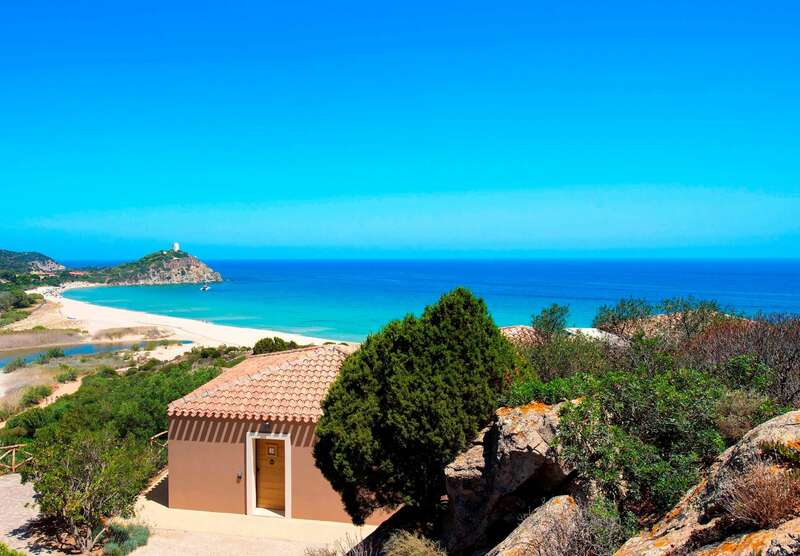 Imagine staying in a stylish, sophisticated space made up of two bedrooms each with their own ensuite bathrooms, a large living area and terraces overlooking Sardinia’s wonderful sea. The panoramic view from the terrace is enchanting and ranges over the entire Bay of Chia. Oasi Balcony Suite rooms are designed as comfortable family accommodation. 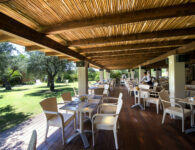 The restaurant of reference for guests staying in the Oasi Balcony Suites is Ristorante La Terrazza. Guests of Oasi Balcony Suites have front-row beach facilities on the beach and can use the Dine-Around service free-of-charge on booking. 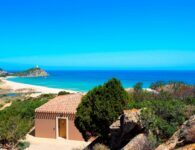 Dune di Campana beach is the Village’s private beach: white sand dunes dotted with hundred year old juniper trees, crystal clear waters in all imaginable nuances of blue and green, ultra-fine white sand. Note that the first and second row of umbrellas are on request and extra payment only. 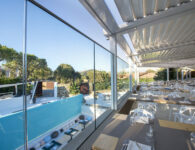 Bouganville is Hotel Village’s reference restaurant for breakfast and dinner. Recently renovated it offers a journey through taste with themed buffets, veritable gourmet islands and spectacular show cooking events. The Classic cottages of the Village hotel, set amidst Mediterranean bushes, have most rooms on the upper floor, overlooking the village. Some rooms have a balcony. The Superior rooms at the Village hotel, with charming interior decor, are made very sunny by the patio doors leading onto the private garden, furnished with coffee-table and chairs. These spacious rooms can comfortably host three persons: a cot or third bed can be requested when booking at no extra charge for children up to 12 years of age. 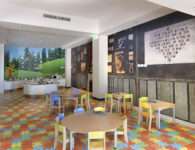 As an alternative to Family rooms, families staying at the hotel Village can opt for two Connecting rooms, for two adults and two children, providing the comfort and freedom of two communicating rooms. Each of the connecting rooms has its own bathroom. This solution is designed for 4-person families. 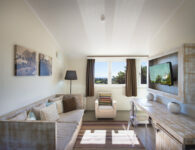 To check availability and prices of our Connecting rooms, contact our Family Holiday Specialists: they will help you find the best solution for your family. 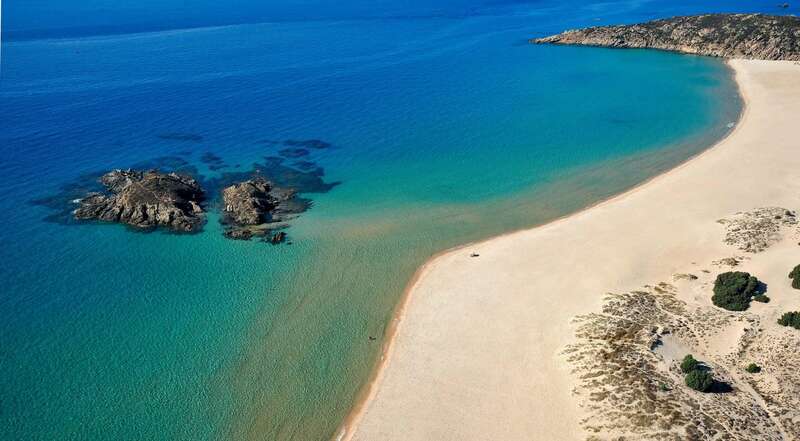 Hotel Baia Chia stands out proudly amongst the landscape, complementing the golden dunes and the clear waters of the sea in Sardinia. The dominating old Tower of Chia watches over each of our 80 splendid rooms, embedded in the promontory, from a distance. Indulge in this paradise of relaxation and tranquillity when you stay at Hotel Baia, and discover an exciting holiday where anything is possible. 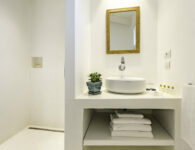 These are among the new, prestigious and recently created rooms at Hotel Baia. Each room has a view extending over the lagoon, home to striking free-roaming pink flamingos. At 26 square metres, the prestigious Laguna rooms are both spacious and welcoming. Their style combines traditional Mediterranean elements with aspects of modern design. 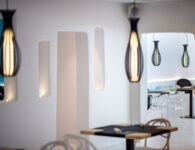 The white walls, stone furnishings and exposed wooden beams blend seamlessly with elegant linear lights, designer pieces and splashes of colour, reminiscent of the sea and sky at Chia. Every room can accommodate up to three guests, with a double bed and a single stone-base divan bed. A cot is available for small children. The room has a 4-door wardrobe, safe, minibar, desk and 32-inch LED TV. The outside area is furnished with a chaise-longue and coffee table. An unforgettable sea view is the prime feature of the new Prestige Mare rooms at Hotel Baia. Surrounded by nature, scents of the Mediterranean sea and shrubland float through the air. At 26 square metres, they are both spacious and welcoming. Light is one of the rooms’ greatest fortes thanks to the modern, Mediterranean white walls and furnishings combined with the room’s optimum positioning. The room has exposed wooden beams and is decorated with modern designer pieces, not to mention touches of colour reminiscent of Chia’s natural surroundings, creating a sense of being at one with the truly beautiful landscape. Each room can accommodate up to three guests, with a double bed and a single stone-base divan bed. A cot is available for small children. The room has a 4-door wardrobe, safe, minibar, desk and 32-inch LED TV. The outside area is furnished with a chaise-longue and coffee table. The brand new Junior Suites are immersed in Mediterranean nature, just a stone’s throw from the sea and lagoon, home to pink flamingos. You can enjoy a splendid view of the Chia sea from every room. 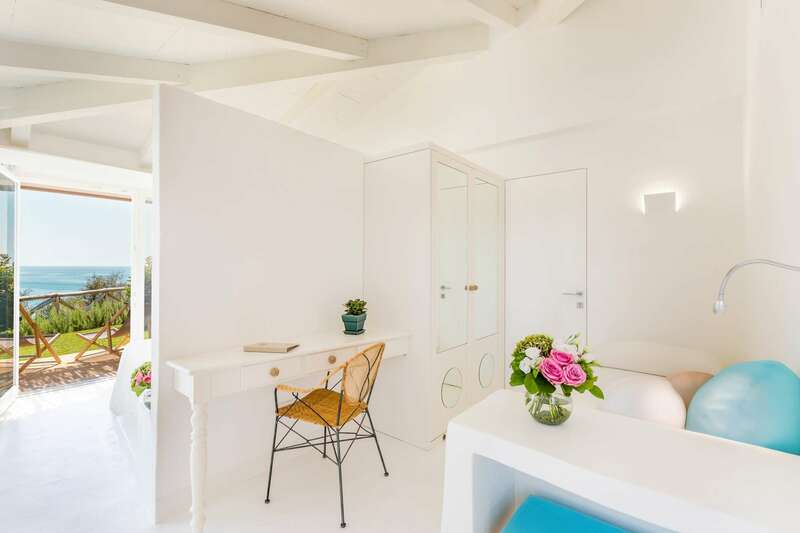 Spacious and light interiors combine predominantly white traditional Mediterranean furnishings and wooden beams with designer furniture in the colours of Sardinian nature. The Junior Suites comprise two areas – the night area with a double bed, and a day area with a divan bed. With a total area of 50 square metres, the suite can accommodate up to four people and a child’s cot. The suite also includes a 4-door wardrobe, safe, minibar, desk and 32-inch LED TV. The outside area is furnished with a chaise-longue and coffee table. If you could turn the flavours from our restaurants into music, they would sing out like a perfect symphony. Using only the freshest prime ingredients, our recipes are inspired by the traditions of Sardinia and are crafted with meticulous attention by our expert master chefs. You can enjoy this tantalising journey into feast and flavour at any of the 10 restaurants on our resort. Exclusively reserved for hotel guests, the Bioaquam Restaurant offers light elegant dishes by the poolside that are prepared with health and wellness in mind. The sun terrace invites you to lay back and soak up the rays, while the plush lounge area will seduce you with breathtaking panoramas of the entire bay. As the most elegant fine dining establishment in Chia, La Terrazza has it all – the passion, the experience, the ambiance and the flavour. The à la carte menu features delicious Italian specialties that honour the traditions of Sardinia, while the outdoor terrace offers an unparalleled view of the lagoon and the bay, allowing all those who visit to dine in the company of a gentle summer’s breeze, as the moon illuminates the sea in the background. 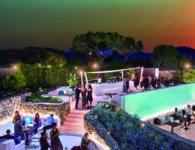 Piazza degli Ulivi is the resort’s main meeting place, where you can enjoy a refreshing aperitif, listen to live music, and indulge in bite sized nibbles as you walk along the windows of the luxurious shopping avenue featuring clothing, jewellery and local handcrafts products. As you wait for the evening entertainment to begin, you might as well explore the flavours of our traditional wood-fired oven pizzeria where the pizza is made with so much passion and love for Italy’s most simple and perfect temptation. The passion of our professional dancers and entertainers complement the unique atmosphere of Chia’s natural environment, and along with several surprises and special guest appearances, cabarets and live music, you will be amazed at our selections of shows for you and the family. Indulge in an escape with Luna Club, the resort’s pulsating nightlife and entertainment hub. Enjoy a vibrant experience with exquisite drinks and cocktails, great music selections, and party your way till the morning with a beautiful sunrise over the lagoon in Chia. 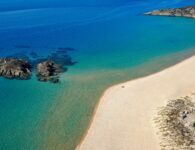 After spending the day at the beautiful beaches of Sardinia, there’s nothing as relaxing as a carefree shopping trip. Discover the elegant boutiques of Piazza degli Ulivi, where you can buy everything from sport and clothing items to exclusive and precious souvenirs. 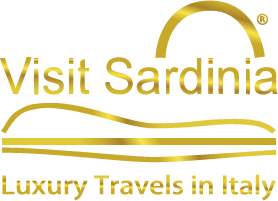 Learn more about the art and culture of Sardinia through the rich, local handcrafted products such as coloured ceramics, pillows and wool, cotton and linen fabrics, necklaces embellished with coral and solid stones, modern creations and unique jewellery designs. The four Kids Clubs at Chia Laguna Resort offer a variety of fun-filled games for our younger guests, as well as special activities for specific age groups, so children of all ages from toddlers to teenagers can have a great time during their stay. Kids can play games and sports while making new friends and enjoying a good time out, all under the watchful eye of our trained professional staff. The baby nursery is haven of peace and tranquillity, a warm and cosy environment designed for new mothers and their children that also offers friendly baby-sitting services for a fee. How far will your child’s imagination go? Let them find out at our Mini Club, where the young ones can play, paint, and unleash their creativity with drawing laboratories, secret cooking recipes for kids meals, and several more fun activities to share with new friends. The Cadet Club is all about team games, and are regular organisers of tournaments and sports activities on the beach, in the pool, and at the resort’s multi-functional grounds. 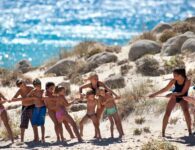 The children also get to be a part of the preparations, so they can be fully involved in the all the fun and exciting activities in store for them during their holiday. Older children can have a world of fun with sports, group and individual activities such as athletic dribbling on the football pitch, beach volleyball, and several other team activities. The older they get, the harder it is to keep them entertained! That’s why we’ve created the Adventure Club, a dedicated space for adolescents to spend their time and have some real fun with their peers. At the Adventure Club, every day is a new adventure. A convenient kit to travel lighter. At Chia Laguna we’ve thought of everything when it comes to your comfort. For parents with children between 4 and 35 months (under 3 years old), we offer our special Chia Baby Welcome, a practical kit that includes a stroller, a changing table, a baby bath and a bottle warmer. The kits come at no extra cost, but as there are a limited number, we request guests to make reservations as early as possible before their stay. Lunch and dinner for the little ones! We’ve made special arrangements for our younger guests. At Bimbi Restaurant, an eateryspecially designed for children, we offer healthy lunch and dinner options along with a funlearning environment where kids can enjoy cooking new recipes, discover the names ofcuisines, and taste simple and authentic dishes made with only the freshest ingredients. 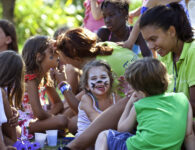 At Chia Laguna, we’ll make sure the little ones enjoy their holiday as much as the grown ups to. To recharge their energy after a day of games and activities, we offer a great choice of healthy and nutritious items at the Bimbi Restaurant, conveniently served at the custom-made buffet. Carefree moments for the little ones. Especially designed for our younger guests, the Bambini Pool is a fun and exciting retreat for the kids. Our trained event organisers make it more exciting with several activities and games for children of all ages to enjoy in the shallow area of the pool. 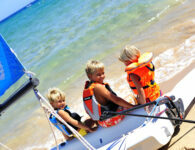 Enjoy your holiday without the worry of looking after the little ones. 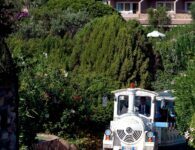 This year at Chia Laguna (Sardinia) two very special guests will be on hand to keep children amused throughout their holidays: mischievous little Masha and her gentle friend Bear are coming to our resort to have some fun and play games with children of all ages. Masha and the Bear became a world’s popular family show amongst both children and their parents being attracted by its friendly and hilarious adventurous. The children’s areas of the resort will be even more visually appealing – thanks to these two handsome characters. Moreover, there will be pictures and 3D models reflecting the real world of Masha and the Bear all around the Kids club and Kids Restaurant. Here, at Chia Laguna, all our guest will have an opportunity to sign up for our special “Masha and the Bear @ Chia Laguna” programme and personalize a room with a welcome kit, plus decorative bedlinen and towels featuring the cartoon’s characters will be provided for additional charge. Masha and the Bear will be the stars of stage performances and other entertaining events every day – summer at Chia Laguna will be truly unforgettable with these adorable TV characters. Let nature’s energy guide you towards healing at our new Chia Natural Spa, the latest offering at our Spa Hotel in Sardinia. With a range of face and body treatments, Turkish baths, saunas and energising showers, and several invigorating treatments on the panoramic terrace with incredible views of Baia Chia, there’s so much to look forward to at Chia Natural Spa, an oasis of absolute relaxation. 4 tennis courts for exciting matches. With two red clay courts at Hotel Baia and two synthetic courts at Laguna, tennis is hugely popular pastime at the rest. The Chia Tennis Club can organise lessons for all skill levels, from children and adults to beginners and experts, and our friendly instructor is available for individual, couples or group lessons. 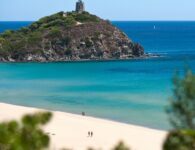 Our instructors can teach you how to surf the beautiful waves of the Sardinian sea, and you can also rent out equipment and book individual lessons at the Nautical Centre. Discover the Bay of Chia with your own set of oars. Rent our kayaks at the Nautical Centre, where you can also sign up for basic kayaking lessons and tutorials. Dip into a world of fun with your own banana boat. Rent one today from the beach at Chia Laguna. Tee on one of the most prestigious golf clubs in Italy. 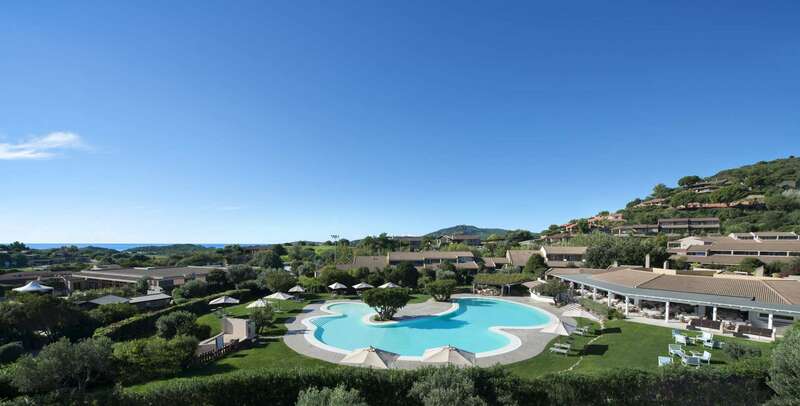 Located just 15 km from Chia, Is Molas Golf Club is the former venue of the Italian Open and also one of the most renowned courses in the Mediterranean. The green is a beautiful stretch of golfing heaven, with 27 holes that wind through the hillside towards the beach, surrounded by nature and slowly blending into the ocean. 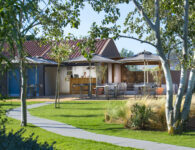 Guests at Chia Laguna Resort can enjoy special discounts on green fees. Enjoy the scenery and views of over Chia Bay. If you’re looking for a truly remarkable experience, take a bicycle ride through the heart of nature and enjoy the wonderful scenery of the resort up close. As you peddle along the coast, you’ll get to see some views that we’ve only reserved for those willing to make the effort. Guests can rent out mountain bike for individual outings or hotel organised excursions, which are captained by our expert guides. 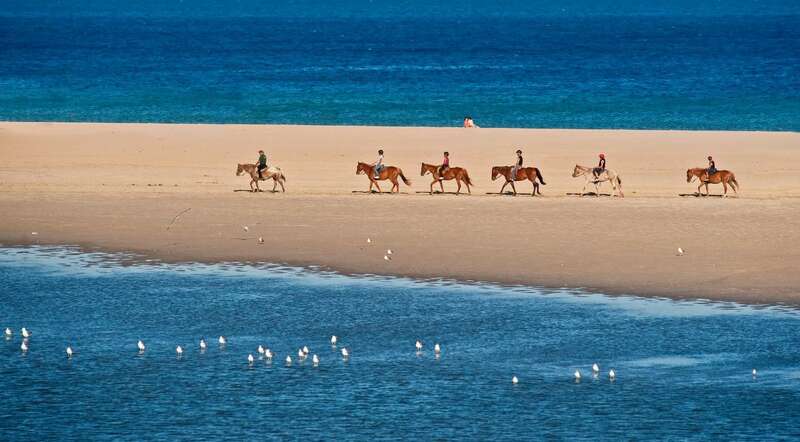 Horse-riding on the most beautiful trails, from the beach to the lighthouse. There’s something unique about discovering nature while on horseback. 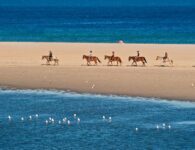 At Chia Laguna, both children and adults can enjoy horseback excursions with our professional guides and get a chance to discover the natural beauty that the island is renowned for. Beginners without experience will absolutely love the excitement of their first trot, while more experienced riders can enjoy the roads and explore the fascinating nature trails towards Cala Cipolla, the Faro di Capo Spartivento and Nuraghe di Riu Perdosuli. 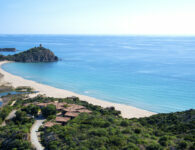 The beauty of Sardinia is one of a kind, and to appreciate it one must experience it. There are so many magnificent things to experience at Chia. 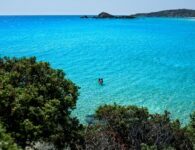 Explore the wonders of Cagliari, Barumini, Sardinia Nuraghi, Nora, and the grottos of Is Zuddas, Carloforte on jeeps, quad-bikes, boats and horses. Football is part work, part skill, but total fun – and most importantly, it is driven by an undying passion for the sport. That is why, set against the stunning landscapes of Chia, you’ll find two exclusive football schools: the Juventus Training Experience with club official trainers and the Campioni Football Academy organised by the Premier League players Andy Johnson and Martin Turner. These top professionals will bring their experience to the field and let you in on their game secrets. The Juventus Training Experience, taking place from the 5th August to the 2nd of September 2017 at Chia Laguna, is built on passion. This unique opportunity has been specially designed for boys and girls aged 5 to 14, so they can experience an unforgettable training week wearing a Juventus jersey. Two club coaches will lead the young footballers during training programmes, which are divided into age groups. The coaches will work on areas such as technique, tactics and healthy eating. All participants will get a chance to play in a tournament to show off their newly learned skills, and receive an official training uniform for the course: the Adidas Juventus Training Experience kit. A dance course held by a Performing Arts graduate who will involve participants in a unique combination of all dance modern styles. Brit School of Performing Arts graduate Alexandra Gale set up Alexandra Dance Fitness 4 years ago. Breaking the mold in dance and innovating dance fitness since April 2012, Alexandra now leads the Dance Academy by Campioni. Activities: specialising in commercial, hip hop, street and lyrical dance Alexandra combines all modern styles to create fresh, unique choreography giving each person movement and dance journey that extra edge. the Dance Academy by Campioni will run 5 days a week with two daily session running at the same time as the Campioni Soccer Academy. A great way to live the holiday, working up a sweat and working out with the view of the stunning Chia Laguna Bay. A great way to live the holiday, working up a sweat and working out with the view of the stunning Chia Laguna Bay. 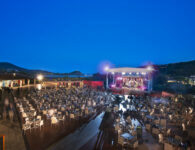 As one of the largest of its kind in Sardinia, our Conference & Exhibition Centre at Chia Laguna Resort offers a modern business environment with the latest in state-of-the-art technology. The facility stretches over 1,500 square metres of flexible spaces that are lit up by natural lighting and designed to make every event an unforgettable one. One single hall or 3 independent spaces for multiple meetings. Ideal for hosting corporate and private events with up to 700 guests, the Chia Hall is the main hall at Chia Laguna. 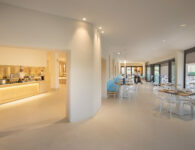 With its adjustable soundproof panels, the main hall can be divided into 3 smaller independent halls, each equipped with the same comforts and facilities: the Maestrale Hall has a capacity of up to 170 people, the Levante Hall can host up to 255, and Scirocco Hall is comfortable for up to 140 people. One large hall or 4 divided areas for work groups. The meeting hall of the Convention Centre is a functional and adjustable space, which makes it an ideal location for any type of gathering for 40 to 250 participants. The meeting hall of the Convention Centre is a functional and adjustable space, which makes it an ideal location for any type of gathering for 40 to 250 participants. Spaces that bring creativity to life. With over 500 m² of floor space, the Fyer of the Convention Centre is a modern and multi-functional area, both spacious and bright, where you can let your creativity flourish. This space can fulfil even the most demanding requests, from those who wish to create specific displays to present new products to those who are looking for an area exclusively reserved for personalised exhibitions. This highly equipped design space can also be used for one-on-one interviews, to host secretaries and administration, or even as a dedicated Hospitality Desk.